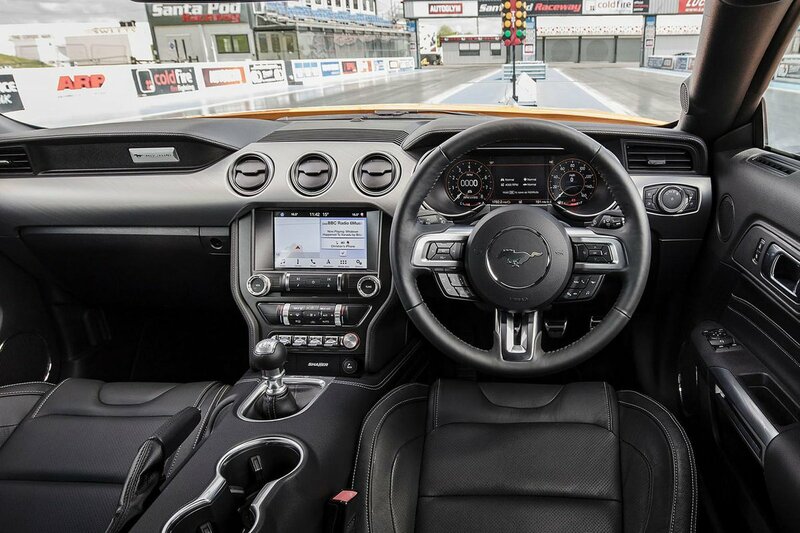 Ford Mustang Interior, Sat Nav, Dashboard | What Car? 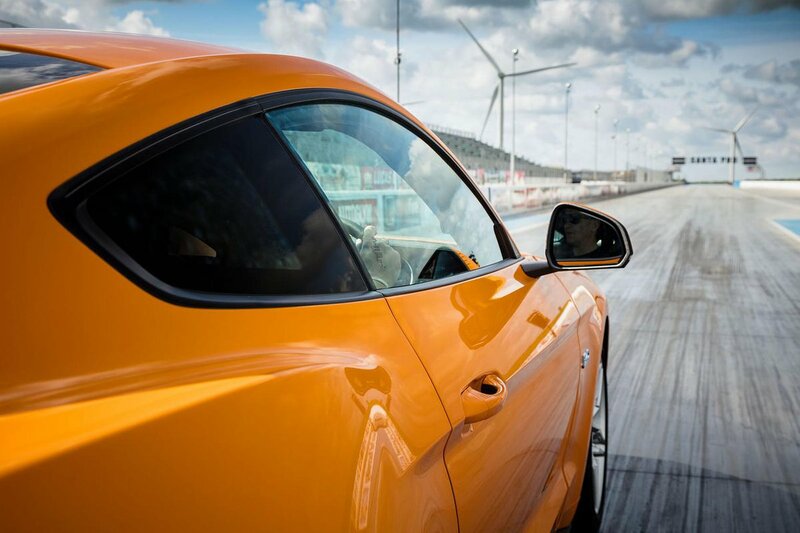 The driving position is for the most part hard to fault. It has a huge range of adjustment to the steering wheel and seat, meaning even the tallest of drivers should have no problem getting comfortable. That said, some might wish the seat could be a little lower. The front seats, which are in leather, offer lots of lateral support and come with six-way electric adjustment as standard. However, visibility – particularly over the shoulder – could be better due to the sloping roofline and big rear pillars. 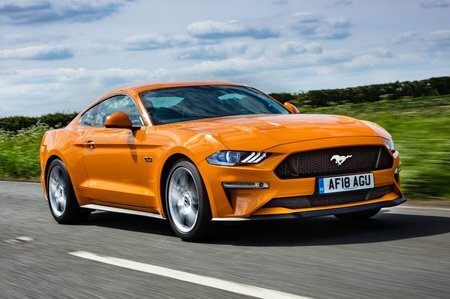 It’s also worth pointing out that the Mustang is seriously big, so it’s hard to judge where the end of the bonnet is. Otherwise, it’s a decidedly retro-feeling affair up front in the Mustang. This gives it a very different ambience to plush but predictable premium rivals. It’s charming, certainly, but the characterful design touches don’t hide the use of cheaper plastics and switches than you'll find in the more upmarket German competition. There may be squishy plastics and leather trimmings on the top of the dash and doors, but elsewhere there are cheap-feeling plastics that could have been lifted from a city car. More impressive is the standard 12.0in digital instrument cluster. The graphics are sharp and you can toggle between a variety of layouts that range from conventional-looking dials to simplified displays that show the rev counter as a horizontal bar with lights that flash when it’s time to change up. You can even mix and match between different displays and change the colour of the instruments.